According to the Americans with Disabilities Act, all commercial buildings should offer safe and comfortable entrances to those with mobility issues. 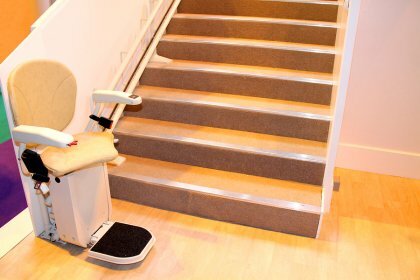 If you are shopping for new elevators or lifts that are ADA compliant, you may want to consider purchasing a Trust-T-Lift. Your Trust-T-Lift can be easily installed by a company that specializes in elevators serving Salt Lake City. With your Trus-T-Lift installation, you can rest assured that all of your customers are able to safely enter your building. The Trus-T-Lift system offers many advantages to commercial building owners. Your Trus-T-Lift will allow you to provide accessibility to entranceways that are located up flights of stairs or on elevated platforms. Additionally, a Trus-T-Lift is a good option for you if your current building does not have space for wheelchair ramp. You can also use your Trus-T-Lift to carry and transport heavy items and equipment during your daily business operations. Finally, a Trus-T-Lift is typically more affordable than many other types of accessibility elevators. 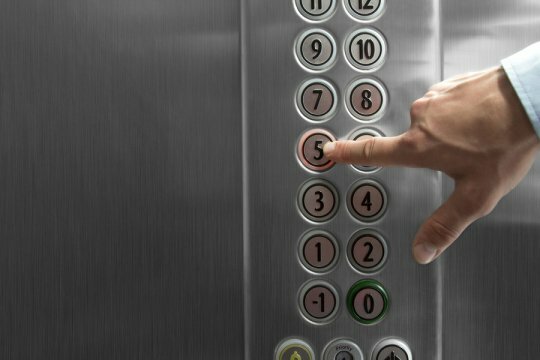 When you are thinking about installing an elevator in Salt Lake City , you may want to gather information about how these devices work. In this video, you will take a quick look at the mechanics behind elevators. A mechanic named Elisha Otis discovered the physics behind elevators when he was working in a factory. With the invention of the elevator, Otis revolutionized our modern buildings. Rope and hydraulic elevators are the two most common types of elevators that are in use today. Inside a rope elevator, you will find a series of counterweights that travel along a shaft. Hydraulic elevators, by contrast, use hydraulic energy to push the elevator car up and down. No matter what type of elevator you choose to install in your building, it is very important to set up routine services for your system. When you are planning on building or renovating a home that has more than one story, you may want to consider including an elevator in your designs. Elevators are becoming more and more common in private residences, and your new residential elevator will add value and accessibility to your property. A company that specializes in elevator maintenance and installation can assist you with every step of installing an elevator in Salt Lake City. To underscore the benefits of an elevator installation for your home, here are answers to some of the most commonly asked questions about residential elevators. What Type of Elevator Is Suitable for My Home? As you are considering a residential elevator installation, you may have questions about the different types of elevators that can be installed on your property. A residential contractor may be able to provide you with a roped hydraulic, winding drum, or custom elevator design. Your elevator installation professional can help you choose an elevator drive system that meets the needs and safety requirements of your household. Do I Need to Dig a Pit for My Elevator? While most commercial elevators require elevator pits in order to be properly installed, your residential elevator may be able to be placed in your home without the need to dig a special pit. If you are placing an elevator in an existing residence, you may want to choose a pit-less model. However, wen you are planning an elevator installation for your brand new home, you may still include a pit in your architectural plans. Will My Elevator Be Safe? Safety is a top consideration for any homeowner who is considering an elevator installation. Residential elevators are extremely safe if they are installed and maintained properly. Working with a reputable elevator company for your installation will provide you with the peace of mind that comes from knowing that your elevator has been properly placed in your home. Over the years, it is also important to schedule regular safety inspections and maintenance appointments for your elevator.